are you the next miss gp stompede? Miss Grande Prairie Stompede is an incredible opportunity! The winner is selected as an ambassador for the Grande Prairie Stompede and the sport of professional rodeo and chuckwagon racing. It is an amazing opportunity to promote western heritage and the cowboy way. The purpose of the pageant is to select a young lady to serve as a representative for the upcoming 2019 season. The pageant provides a fair and equitable competition to select the best-qualified candidate to fulfil this role. We encourage all applicants to read through the Miss Grande Prairie Stompede application package thoroughly, fill out each section and familiarize yourself with the information within this package. The list below serves as a checklist for what the applicants are required to submit in order to be eligible for the pageant. My name is Alexis Martinson. I’m 21 years old and I grew up just outside of Eckville, Alberta. I lived on a farm with over 200 head of cattle, 10 horses, as well as goats and dogs. My parents, my two younger brothers, and I moved to Grande Prairie in July 2013, when I was 16 years old. I got a job at the race track where I worked four consecutive summers until I found myself a great position at Reed Energy Group, an oilfield construction company, where I have now been for over a year. I have been around horses my entire life, I could basically ride before I could walk. My mom entered me into an open breed horse show when I was just five years old and that’s what I did off and on as I grew up. I also participated in 4-H, barrel racing, reining, the Canadian Cowboy Challenge, and giving riding lessons with my mom. I currently have five horses including four registered Quarter Horses and one paint gelding. 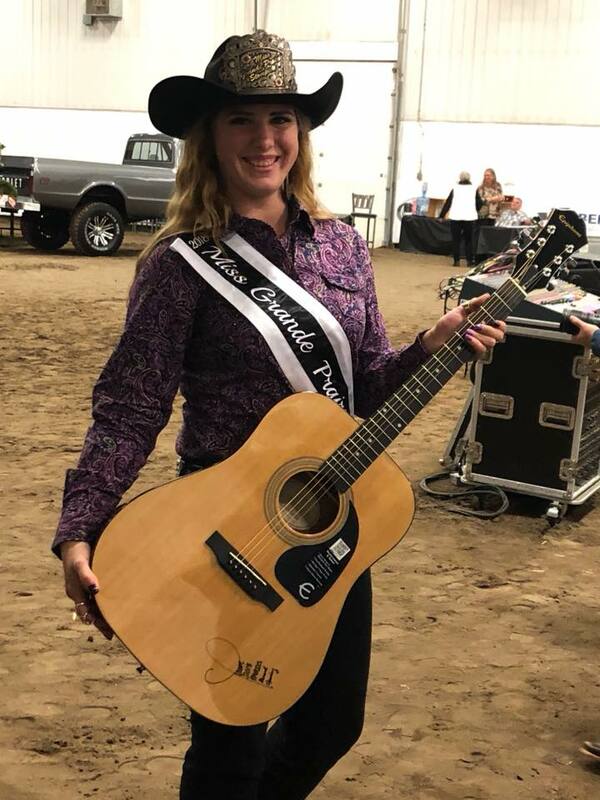 I am currently a member of the Hoofbeats for Hope Equine Team, who I look forward to performing with at the this year’s Grande Prairie Stompede.